Lots of Tweets this month about Grizzly nostalgia and fondly remembered childhoods. grizzly tales for gruesome kids never gets old! 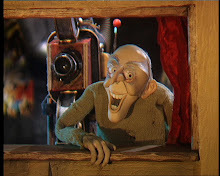 Watching grizzly tales for gruesome kids, used to love this! i dont watch famous five, i used to watch jonas la, have u ever seen grizzly tales for grousome kids? no i haven't seen grizzly tales, what is it?